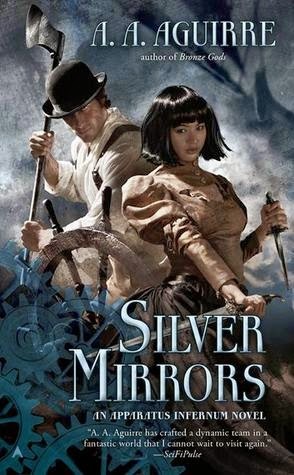 Silver Mirrors, by A.A. Aguirre, the second novel in the Apparatus Infernum series continues the adventures of Inspectors Janus Mikani and Celeste Ritsuko, members of the Criminal Investigation Division (CID), the purpose of which is protecting the public from those magical beings that occasionally threaten the mundane world and its inhabitants. Of course, like any organization, they are in need of more personnel and funding, but at least Mikani and Ritsuko survived their last mission. However, instead of enjoying a much-deserved vacation, they are soon given another assignment, as the resulting release of magic from the ancient ritual the Inspectors interrupted has been causing problems in the city. In fact, it’s worse than it appears, and the very foundation of the world have been shaken. It’s up to Mikani and Ritsuko to find out what’s behind it, and try to stop it from getting worse. Their initial investigation suggests that all of the trouble originate on the Winter Isle, and so that’s where they head, but as they learn more, they find even more questions and strange events. Machines are acting on their own, there are pirates staging even more raids than normal, and even the elements are not behaving as they should. Suffice to say, Mikani and Ritsuko have their work cut out for them. As this is the second book in the series, there is more focus on developing the backstory of the main characters, as further developing their relationship with each other. 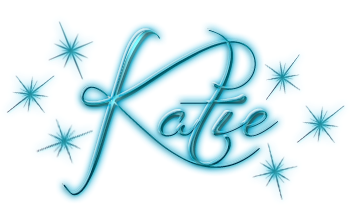 In addition, the steampunk setting receives a great amount of attention, and this fleshing out of setting and protagonists makes the story and world feel richly inhabited, and the series one that promise to expand in interesting ways in future books.